We Dentcure Dental Clinic provide One Sitting Root Canal Treatment . "Root canal treatment is the removal of the tooth’s pulp, a small, thread-like tissue in the center of the tooth.Best root canal dental clinic in Mulund is definitelyDentcure Dental ClinicOnce the damaged, diseased or dead pulp is removed, the remaining space is cleaned, shaped and filled. This procedure seals off the root canal. Root canal treatment saves many teeth that would otherwise be lost. The most common causes of pulp damage or death are: A cracked tooth A deep cavity An injury to a tooth, such as a severe knock to the tooth, either recent or in the past Once the pulp is infected or dead, if left untreated, pus can build up at the root tip in the jawbone, forming an abscess. An abscess can destroy the bone surrounding the tooth and cause pain. LASER ROOT CANAL TREATMENT OR ENDODONTIC TREATMENT IS A DENTAL PROCEDURE TO TREAT TOOTH ROOT INFECTION OR TEETH DECAY. FOR THIS THE BEST ROOT CANAL DENTAL CLINIC IN Mulund IS DEFINITELY Dentcure Dental Clinic "
We Dentcure Dental Clinic provide One Sitting Root Canal Treatment. "Root canal treatment is the removal of the tooth’s pulp, a small, thread-like tissue in the center of the tooth.Best root canal dental clinic in Mulund is definitelyDentcure Dental ClinicOnce the damaged, diseased or dead pulp is removed, the remaining space is cleaned, shaped and filled. This procedure seals off the root canal. Root canal treatment saves many teeth that would otherwise be lost. The most common causes of pulp damage or death are: A cracked tooth A deep cavity An injury to a tooth, such as a severe knock to the tooth, either recent or in the past Once the pulp is infected or dead, if left untreated, pus can build up at the root tip in the jawbone, forming an abscess. An abscess can destroy the bone surrounding the tooth and cause pain. LASER ROOT CANAL TREATMENT OR ENDODONTIC TREATMENT IS A DENTAL PROCEDURE TO TREAT TOOTH ROOT INFECTION OR TEETH DECAY. FOR THIS THE BEST ROOT CANAL DENTAL CLINIC IN Mulund IS DEFINITELY Dentcure Dental Clinic"
We Dentcure Dental Clinic provide One Sitting Root Canal Treatment. "Root canal treatment is the removal of the tooth’s pulp, a small, thread-like tissue in the center of the tooth.Best root canal dental clinic in Mulund is definitelyDentcure Dental ClinicOnce the damaged, diseased or dead pulp is removed, the remaining space is cleaned, shaped and filled. This procedure seals off the root canal. Root canal treatment saves many teeth that would otherwise be lost. The most common causes of pulp damage or death are: A cracked tooth A deep cavity An injury to a tooth, such as a severe knock to the tooth, either recent or in the past Once the pulp is infected or dead, if left untreated, pus can build up at the root tip in the jawbone, forming an abscess. An abscess can destroy the bone surrounding the tooth and cause pain. LASER ROOT CANAL TREATMENT OR ENDODONTIC TREATMENT IS A DENTAL PROCEDURE TO TREAT TOOTH ROOT INFECTION OR TEETH DECAY. FOR THIS THE BEST ROOT CANAL DENTAL CLINIC IN Mulund IS DEFINITELY Dentcure Dental Clinic "
We Dentcure Dental Clinic provide One Sitting Root Canal Treatment . "Root canal treatment is the removal of the tooth’s pulp, a small, thread-like tissue in the center of the tooth.Best root canal dental clinic in Mulund is definitelyDentcure Dental ClinicOnce the damaged, diseased or dead pulp is removed, the remaining space is cleaned, shaped and filled. This procedure seals off the root canal. Root canal treatment saves many teeth that would otherwise be lost. The most common causes of pulp damage or death are: A cracked tooth A deep cavity An injury to a tooth, such as a severe knock to the tooth, either recent or in the past Once the pulp is infected or dead, if left untreated, pus can build up at the root tip in the jawbone, forming an abscess. An abscess can destroy the bone surrounding the tooth and cause pain. LASER ROOT CANAL TREATMENT OR ENDODONTIC TREATMENT IS A DENTAL PROCEDURE TO TREAT TOOTH ROOT INFECTION OR TEETH DECAY. FOR THIS THE BEST ROOT CANAL DENTAL CLINIC IN Mulund IS DEFINITELY Dentcure Dental Clinic. " We Dentcure Dental Clinic provide One Sitting Root Canal Treatment. "Root canal treatment is the removal of the tooth’s pulp, a small, thread-like tissue in the center of the tooth.Best root canal dental clinic in Mulund is definitelyDentcure Dental ClinicOnce the damaged, diseased or dead pulp is removed, the remaining space is cleaned, shaped and filled. This procedure seals off the root canal. Root canal treatment saves many teeth that would otherwise be lost. The most common causes of pulp damage or death are: A cracked tooth A deep cavity An injury to a tooth, such as a severe knock to the tooth, either recent or in the past Once the pulp is infected or dead, if left untreated, pus can build up at the root tip in the jawbone, forming an abscess. An abscess can destroy the bone surrounding the tooth and cause pain. LASER ROOT CANAL TREATMENT OR ENDODONTIC TREATMENT IS A DENTAL PROCEDURE TO TREAT TOOTH ROOT INFECTION OR TEETH DECAY. 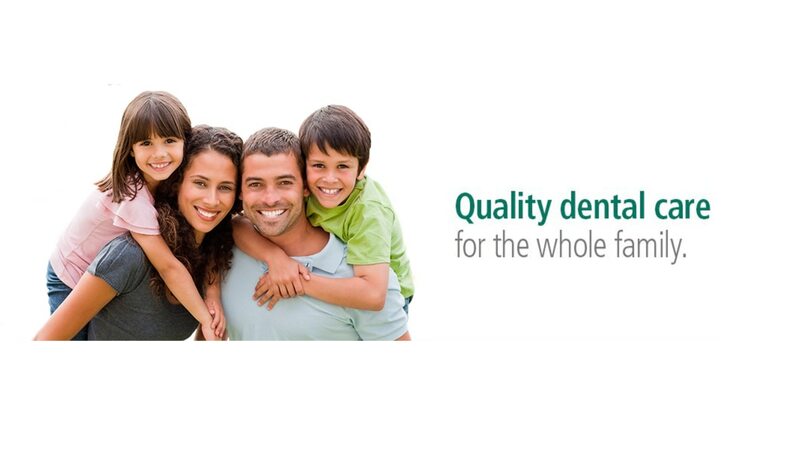 FOR THIS THE BEST ROOT CANAL DENTAL CLINIC IN Mulund IS DEFINITELY Dentcure Dental Clinic. "